Provide yourself the storage space required. The lockable doors, which are opened along the full width of the container, afford you the opportunity to easily store valuable and large-sized goods of any kind. 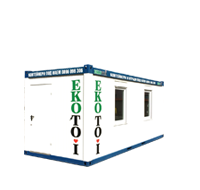 If necessary, you can obtain the containers fitted with practical shelves and complete electric equipment. In future this will protect you from any losses and shortages. We have storage containers in three different sizes, allowing arrangement on three levels.